An SEO audit is a very important thing that can help your online marketing in many ways. You can surprisingly improve the quality and productivity of your website, get rid of many less valuable backlinks and unnecessary stuff that is possibly harming your ranking. The actual idea behind an SEO audit is to scale the effectiveness of your overall online marketing practice and its return. How a website’s speed affects its ranking and how to improve it. How to optimize your website freely–Quick Guide. As the first step, you need to crawl your website. With this step, you will get informed about the sections of your website that are not accessible to search engines. To perform this task you will need a supportive tool for the hue available selection, such as Search Engine Spider Simulator tool that helps in figuring out that what is index-able and what is not on your website. While crawling gives us an overall idea about the index-able status of the website’s content, for the accurate picture you need to check the search engine’s database. There are many supportive webmaster tools are offered free by the leading search engines such as Google, Bing, and Yahoo. It is recommended to use these tools regularly as the data availed through it is enough to perform a regular website SEO audit. After the preparations, you get an idea about the crawl-able materials on your website and SEO friendly data reports. 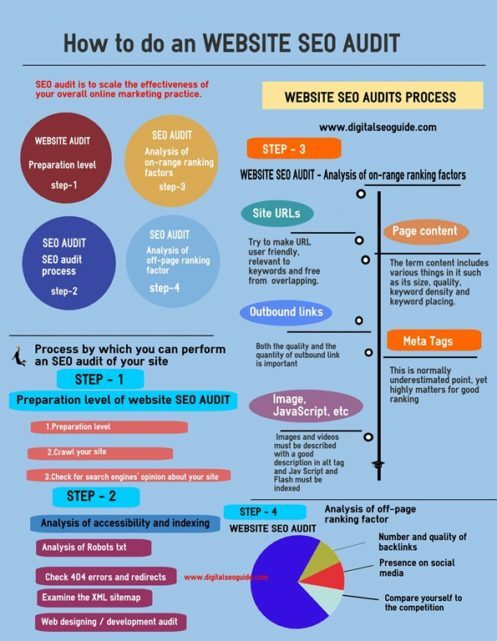 Now it is the time to start the SEO audit process of your website. Analysis of Robots txt: This confirms that there is no user agents banned or any section is mistakenly put in the banned area. The Google Webmaster Tool can help you a lot in it. Examine the XML sitemap: Without checking the XML sitemap of your website and updating its readability and functioning, no SEO audit is complete. The sitemap must contain all the pages on your website you want to get indexed. And it is also essential that you perfectly build sitemap is submitted to search engines. For getting the accurate number of indexed pages on a particular search engine you need to type “site:yousitename.com” in the search bar. 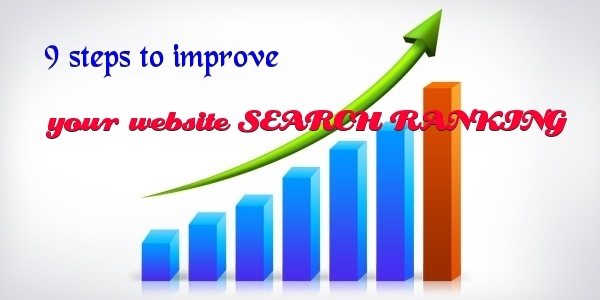 As a result, you will be presented the number of pages of your website indexed by that particular search engine. While the resulting number is close to the actual pages, it shows the success of your website indexing, if it is less that means most of your pages are still inaccessible, and in case if the resulting number is more than the real number, it means that you have a lot of duplicate content on your website and you need to clear it as soon as possible. Site URLs: Try to make URL user-friendly, relevant to keywords and free from overlapping. Page content: The term content includes various things in it such as its size, quality, keyword density, keyword placing, uniqueness, and presentation. Outbound links: Both the quality and the quantity of outbound link is important. It is good to double-click that there is no more than one outbound link per 500-1000 words of a content and that this link points to a reputed website. Meta Tags: This is normally underestimated point, yet highly matters for good ranking. So, obviously, you will need to give a specific and unique meta tag to each page. Unlike the on-page factors, the off-page factors consume less time in getting analyzed. Are the backlinks are coming from the reputed and relevant websites? What is the number of unique backlinking domains? Are there any toxic backlinks which are coming from spammy websites? Are there any Nofollow links? Presence on social media: To get the real picture of the popularity status of your website regularly checks the social media status that indicates it in a very clear manner. The large number of followers on the leading social site such as Twitter, Facebook, Slideshare, Pinterest or any other is a sign of a successful content marketing. Compare yourself to the competition: As the final step of your website SEO auditing process, you should fare compare your overall performance with your competitors on various grounds. Though it is very time consuming and effort requiring action as you may have too many competitors, yet the step cannot be skipped. At the conclusion of the above process, we can say that an SEO audit takes a good amount of time but it really worth it. You achieve a great information to support your online marketing strategy building and its successful implementation. After a long, tiring process, obviously, you need to pit all the conclusions in writing and save it safe so that whenever in the future, you need them, you can use them for comparing the present or past data. For better performance, you need to perform it at a regular interval. 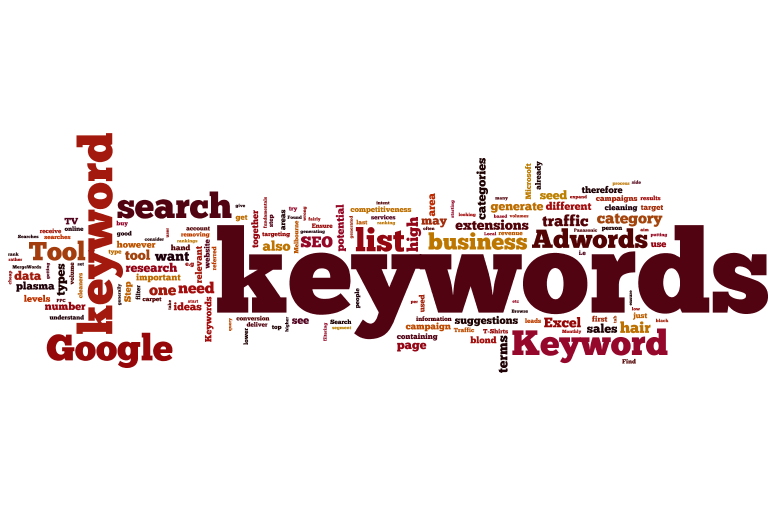 This can assist in solving many problems and put the positive impact on your search engine ranking. Thanks for this informative article I will try it out.